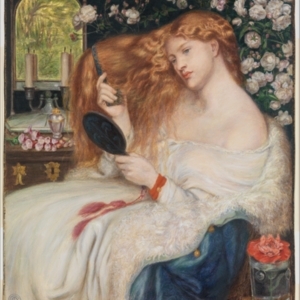 A redheaded woman combs her hair while looking in a mirror in the foreground of the image. She is framed by flowers; candles, perfume, and a window can be seen in the background. In Jewish literature, Lilith is a legendary femme fatale and Adam's first wife. The combing of hair and the mirror allude to vanity, while her exposed shoulders allude to seduction. 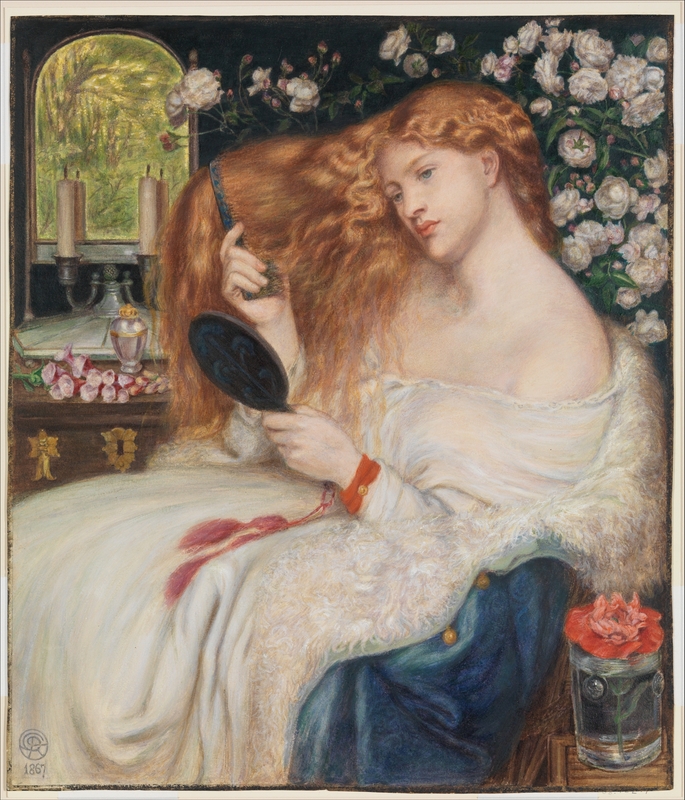 Rossetti, Dante Gabriel, 1828-1882, “Lady Lilith,” UVic Libraries Omeka Classic, accessed April 23, 2019, http://omeka.library.uvic.ca/items/show/1580.